Obtenga información privilegiada sobre la vida en los barrios hutong tradicionales de Beijing durante esta inmersiva caminata. Descubra más de 700 años de historia mientras deambula por un laberinto de callejones atmosféricos, luego tome un rickshaw para recorrer lugares destacados como el Templo Lama y el Lago Sia Cha. Los tours también incluyen té casero con una familia local y un vistazo detrás de las escenas a un espectáculo de lucha de cricket. Conozca a los lugareños y aprenda sobre la vida en una de las localidades más antiguas de la capital. We started with a guided walk through a Hutong neighborhood. We then stopped for a tea culture demonstration and shopping stop - this was not on our itinerary, but it was actually an interesting educational experience, and not high pressured sales. We arrived at a home for lunch early, so we had to wait around there about 30 minutes. Then the cricket guy came and he was very entertaining. Lunch was good. But as we were leaving, about 25 other people were coming for lunch in the other rooms, so it seemed a little more like a restaurant than a home. Storm was great for this tour! He took us through many areas and we also had a tea ceremony. The cricket man was so entertaining and available for questions - him alone is worth the tour! He is truly a unique person to get to know! A really good tour of Hutong. The cricket guy was definitely the highlight! We LOVED this tour! Storm was friendly, funny, and really really knowledgeable about the Hutong and the surrounding area. 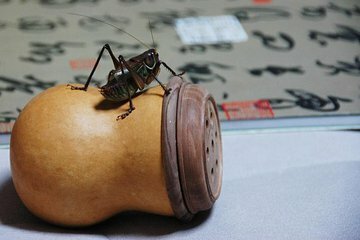 The tea ceremony was really fun, and the Cricket Man alone was worth our whole trip to China! Great to learn about the history of the area that wasn't as touristy. Would definitely recommend to anyone. We booked this tour for 9am but by 9.10am no one had turned up. I phoned the company and spoke to Storm and he was very apologetic as they had some issues with Viator. The tour isn't rushed and Storm is full of knowledge. The Cricket Master is a unique and hilarious character! Storm and Vicky were wonderful! My tour ended up being just myself so I got a very detailed experience. I was nervous at first, trusting total strangers in another country to guide me around, but it was great! Storm made the most of the time I had so I got to also do mask painting and a tea tasting. The cricket man was by far my favorite, because he was an amazing person. Even without being able to communicate with him, you could tell he was truly passionate about what he did. Super! Love the enthusiasm the cricket man has for his job. He is definitely passionate about it. Fabulous time! I love the cricket man. He is worth it for the entire tour. Lunch was amazing and our guides were great! My guide Storm customized the trip for me according to my likes. He also acted as my photographer. This tour was more than what I expected and it was a well spent day in the Hutong. Thank you Storm!